Café culture is big in Malaysia, especially in the urban areas, where the hipsters usually sprout. Personally, I love coffee and the growing café culture we have here. There’s just something about a good café and the unique sounds and smells that come with it. 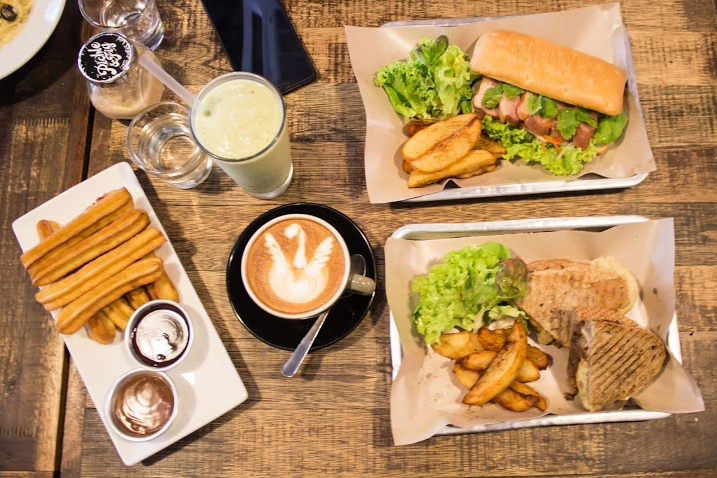 Pickle & Fig is one such café, located within the elite residential area of Taman Tun Dr Ismail. Brown walls, wooden chairs, minimalist furniture, and chalkboard menu – it ticked all the right boxes for me. Ken from Pickle & Fig welcomed us in, and we quickly made ourselves comfortable. According to him, the café’s main draws were the sandwiches and the smoothies – and boy, were there a long list of sarnies and smoothies! 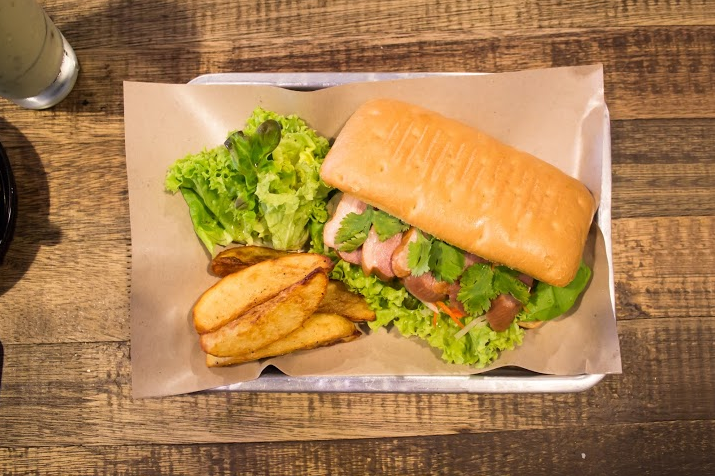 We tried two sandwiches – the BBQ Philly Cheesesteak and the Smoked Duck Banh Mi. As I’m not really a beef eater, my colleagues happily volunteered to do the taste test of the Philly for me. He described the meat as tender, with the BBQ sauce being the perfect complement. 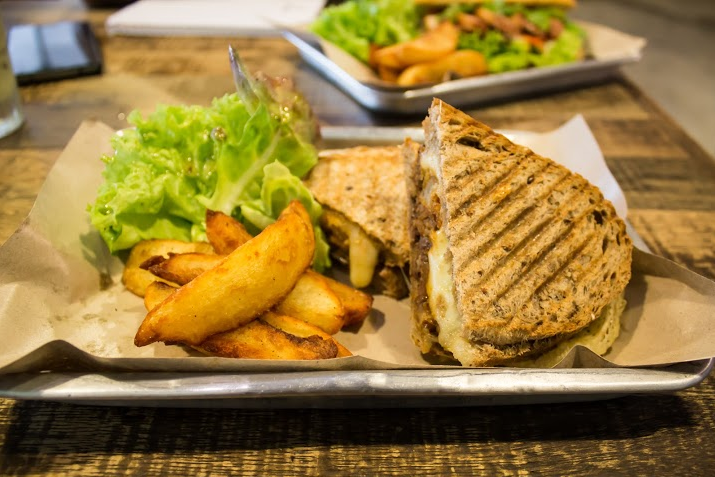 Well one thing is for sure – the cheesesteak sandwich looked super good! The Banh Mi was really fresh, and I’m not even kidding. The smoked duck was so flavourful and the vegetables were as fresh as could be. The crunchiness of the leaves bode well with the chewy duck meat and that sandwich flew by in no time. There was surprisingly no sauce in the banh mi, and I don’t even think there was any need for it too. 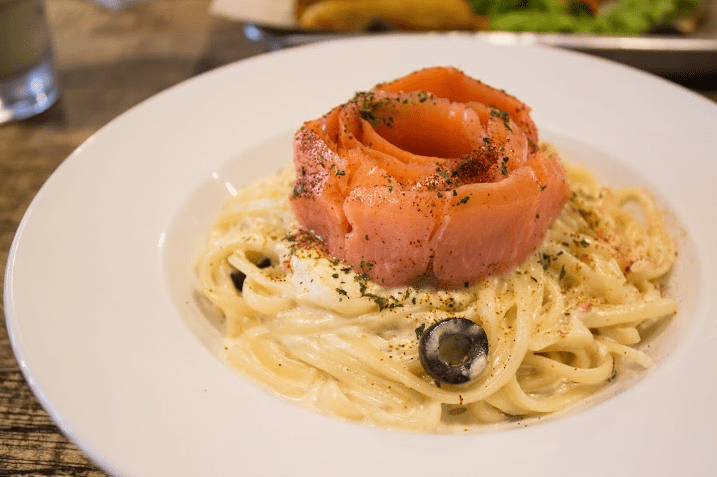 Of course, we couldn’t pass on without trying the Smoked Salmon Carbonara, which is one of the most-popular pasta dishes in the café. You know why it was so special? The carbonara sauce is homemade. In fact, every sauce used in their dishes is made in-house. The carbonara pasta was creamy, rich, and the salty flesh of the smoked salmon lent some punch to the dish. We absolutely loved this pasta, as you can probably tell. For desserts, we had fresh churros, which came with chocolate and caramel dips (made in-house too of course). I personally am a big fan of churros, and thoroughly dug in the plate of fried flour strips. As for drinks, we ordered the Avocado Date smoothie and a cappuccino. The smoothie had a distinct yoghurt taste, which I loved because it reminded me of lassi. The bits of dates added some wonderful sugary texture. The cappuccino – well, it definitely didn’t disappoint! I am definitely looking forward to having churros and cappuccino again at Pickle & Fig!